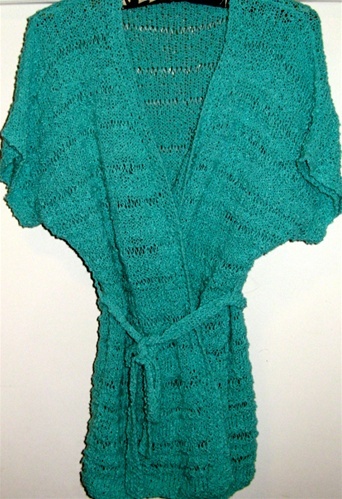 Fun and easy cover-up for pool or beach, made from Sirocco Cotton/Linen Blend yarn. Very loose fitting. Four sizes, S (M, L, XL) will fit bust sizes 30-34 (36-40, 42-46, 48-52) and takes 9 (10, 12, 13) skeins of Sirocco. 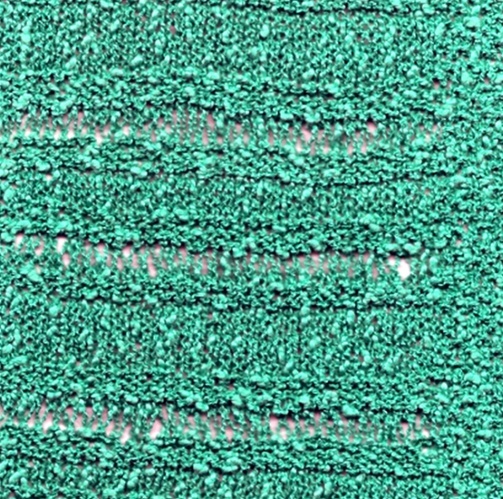 Pattern is composed of stripes of stockinette, reverse stockinette, and drop stitch.